Item is a watercolour sketch of a costume design for Dalhousie Theatre's 1989 production of Happy End. 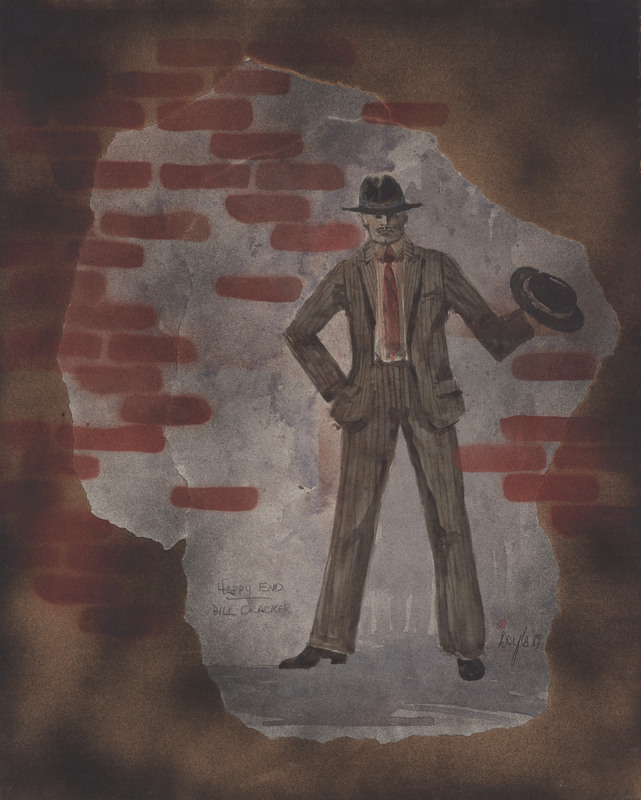 The costume is for a character named Bill Cracker and the sketch shows one male figure wearing the costume and holding a hat. The sketch is torn into an irregular shape, mounted on corrugated cardboard, and spray painted with a brick pattern.